I hate having chapped lips. It's the WORST! I find myself picking or licking my lips when my lips are dry. I try to constantly keep something on them to keep them moisturized, but sometimes I forget...and they get dried out, cracked and painful even. The same goes for my girls. I think it's important for LADIES especially, to keep their lips soft and supple. Lipstick doesn't go on smooth or evenly, if you have chapped lips either! 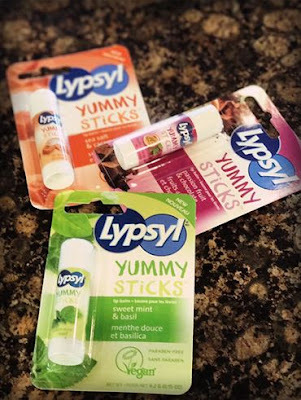 So when Lypsyl contacted me about trying out their new YUMMY STICKS...I was excited to test them out. 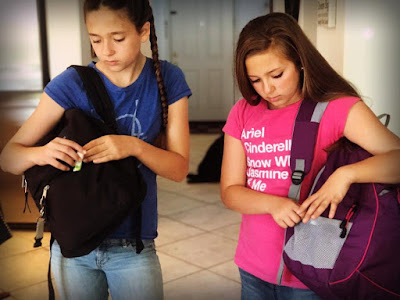 My girls love products that they are allowed to take with them to school (since makeup isn't a daily routine yet), that not only helps their lips stay moisturized, but also smells/tastes great. Admit it...when you put on lip balm, you lick your lips after. Sometimes lip balms simply don't taste good. My youngest daughter loved the Sea Salt and Carmel YUMMY STICK. 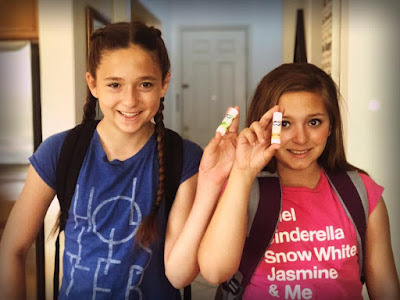 My oldest daughter loved the Sweet Mint and Basil YUMMY STICK. I really enjoyed the Passion Fruit & Chocolate (I mean, who can go wrong with that combination?) YUMMY STICK. 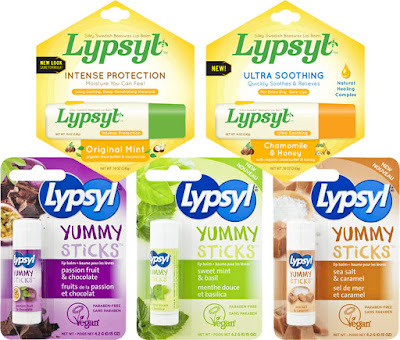 Lypsyl has over 100 years experience with Swedish Lip Care and these Yummy Sticks are Vegan Friendly. They do not contain water. 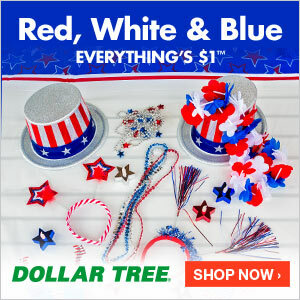 They are perservative and paraben free. They have also been dermatologically tested for safety. 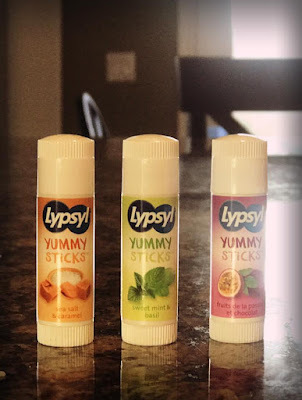 CLICK HERE to learn more about these Lypsyl Yummy Sticks and perhaps your daughters will be tucking them in their backpacks to take to school too! I know mine were excited to! This was not a paid product review/feature. The only compensation I received was the actual product sent for this review/feature! All opinions expressed are my own!